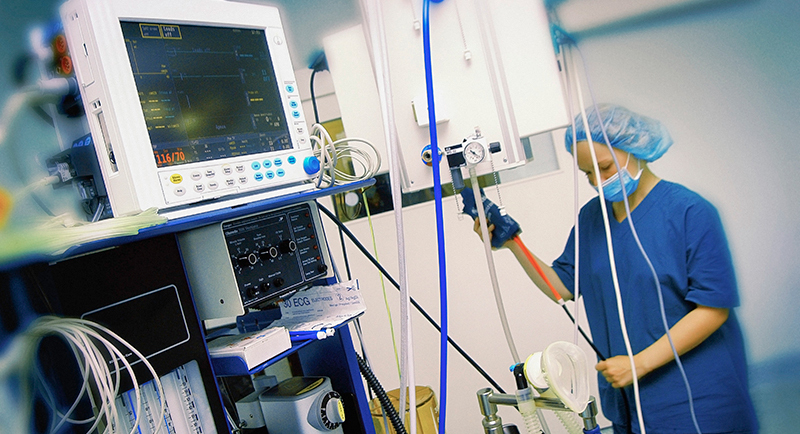 Surgical capacity in hospital facilities is limited by the number of Operating Rooms, regulatory issues and staffing. At this large hospital Operating Room capacity limits had caused surgeons to schedule procedures at other area facilities. This situation was directly and negatively affecting the facility’s bottom line. A meeting with the hospital surgeons confirmed that if capacity could be increased, patients would be scheduled at this facility. But increasing capacity by adding additional operating rooms was not an option as it was cost prohibitive and would take considerable time. Surgeons and families are resistant to evening and night surgeries, so schedule-based alternatives become limited. The hospital administrators decided to look for a solution that would safely increase capacity of the existing Operating Rooms by one procedure per day. Improving the utilization of the existing space was the preferred alternative to building costs and regulatory lead time. A Productivity Healthcare consultant working with the hospital improvement team set out to determine if it was possible for the staff to safely perform more procedures during the same time in the existing O.R. suites. The team studied actual operating procedures to look for improvement ideas. They determined that room changeover provided them with the best opportunity to safely increase capacity. Using actual O.R. changeover data, the team focused their efforts on breakdown (clean-up) and set-up activities. Data collected by the team revealed that changeovers between procedures currently varied widely. The Productivity Healthcare consultant helped the team to create a simulation model of actual procedures. The model indicated if changeovers between procedures could be reduced by 66% then it would be possible to schedule an average of one more procedure per Operating Room, per day. The team held a week-long Kaizen event during which they identified key areas that needed to be improved to create the desired capacity. Solutions were tested, debugged, and proven during the week. Training documents and scale up plans completed the proof of concept. Using a ‘pit crew’ model, operations managers segmented a portion of the cleaning staff to be a dedicated OR changeover team. Change time performance data was collected, charted, and analyzed so it could be continually improved and to prevent control slippage. Scale up was done over the next three weeks. Results were critiqued, and adjustments made to eliminate resistance to the new process. The dedicated changeover team’s sterility ability and knowledge grew as the new procedure became part of their daily work and as a result, the acquired infection rate was zero in the two years following project. Facility utilization increases improved profitability and created more jobs. When Productivity Inc. came across the work of the Japan Institute of Plant Maintenance (JIPM), developers of total productive maintenance (TPM), as part of our research into Japanese manufacturing practices in the 1980’s, we encountered the same problem as with other systems: how do we teach this to people in the West?